Ron Mitchell - Mediator & Arbitrator based in Joplin, Missouri. Please click your preferred available date to submit a request. Your Appointment Form will be sent to Ron's assistant, Martha Hillman. 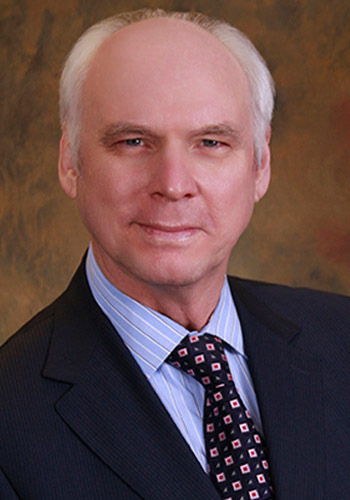 Ron Mitchell serves as a mediator in more than 200 cases per year. He is a fellow of the American College of Trial Lawyers. He was President of the Missouri Bar for 1994-1995. He is a Distinguished Fellow of the International Academy of Mediators and a member of the National Academy of Distinguished Neutrals. Ron graduated from Missouri Southern State University in 1971 and received his J.D. from the University of Missouri-Columbia in 1974. He has served as counsel for MSSU since 1994. He was presented the Missouri Bar President’s award in 1999 for his work as Chair of the Missouri Statewide Legal Services Commission and serves on the board of Legal aid of Missouri Statewide Program, Inc. Ron served on the Supreme Court Committee studying Regional Justice Centers, the Venue Commission and the Commission on the Impartiality of the Judiciary. A member of the Board of Governors of the Missouri Bar from 1985 to 1996, he also has been active in a variety of other bar activities. He was a longtime member of The Missouri Bar’s Legal Education Committee, and previously served as vice chair of that committee. He was chair of The Missouri Bar’s Young Lawyers’ Section in 1983-84 and President of the Jasper County Bar in 1988-89. He served as an assistant prosecutor for Jasper County from 1978 - 1986.